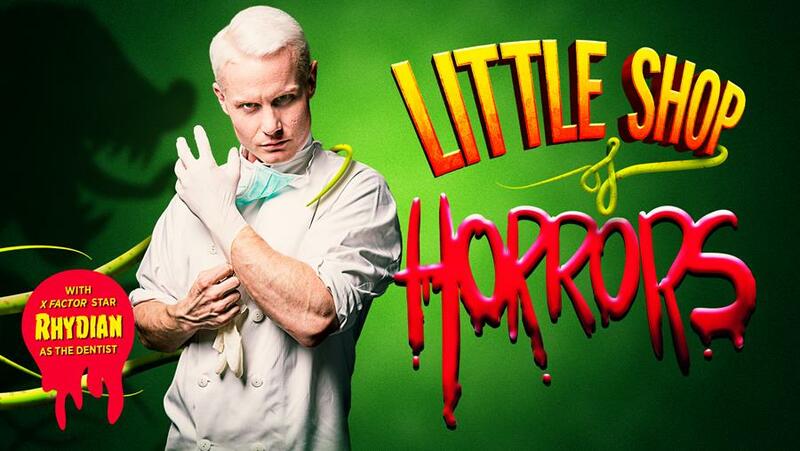 There’s a bumper crop of talent lined up to join Rhydian in the upcoming UK tour of Little Shop of Horrors which hits the road next month. Full casting has been announced for the hit musical comedy, bringing everyone’s favourite carnivorous plant to theatres across the UK in a brand new tour for 2016. The show opens at Bournemouth Pavilion on August 4. The cast will feature Sam Lupton (Boq in Wicked, West End, Avenue Q, UK Tour) as Seymour, Stephanie Clift (Mamma Mia!, West End) as Audrey, Paul Kissaun (Calamity Jane, Fiddler on the Roof, UK Tours) as Mushnik, Sasha Latoya (Rent, Greenwich Theatre, Britain’s Got Talent) as Crystal, Vanessa Fisher (Hairspray, UK Tour) as Chiffon, Cassie Clare (Cats, West End) as Ronnette and Josh Wilmott (Spamalot, We Will Rock You, UK Tours) as Audrey II. The cast also includes Phil Adele, Stephanie McConville and Neil Nicholas. They join the previously announced Rhydian as The Dentist, Orin Scrivello in the Sell-A-Door Theatre Company production. Rhydian rose to fame as a runaway success on ITV’s X Factor and has sold in excess of a million albums worldwide. He has released six albums and duetted and performed with some of the biggest names in the music industry including Michael Bublé, Taylor Swift, Enrique Iglesias, Celine Dion and Nicole Scherzinger. Rhydian’s theatre credits include Grease, We Will Rock You, The War Of The Worlds, Jesus Christ Superstar and the 40th Anniversary Tour of another cult classic, The Rocky Horror Show. A charming, kooky and hilarious 1950s musical comedy, Little Shop of Horrors tells the story of Seymour, the assistant at Mushnik’s Flower Shop in down-at-heel, Skid Row, who becomes an overnight sensation when he discovers a strange and exotic plant. Little Shop of Horrors features music by Alan Menken and book and lyrics by Howard Ashman. They are best known for their collaborations on iconic Walt Disney films including The Little Mermaid and Beauty and the Beast, for which they received Oscars. November 22-26, BLACKPOOL Grand Theatre.